Slowly, quietly and deliberately, the Carrabassett Chapter of the New England Mountain Biking Association (NEMBA) is building a world-class system of mountain biking trails in the shadow of Sugarloaf Mountain. I’ve been riding up there for several years now and I’ve been extremely pleased at how these trails have been developing. It’s really the most exciting thing going on in the Maine mountain biking scene, and there’s a lot going on all over the state! Many of these trails are built to International Mountain Biking Association (IMBA) standards, which means they take a lot of time and manpower to build, but they are built to last. They resist erosion from the four to six-inch rainstorms we now seem to get three or four times a year, and withstand lots of traffic. Each time I go up there are more trails to explore. 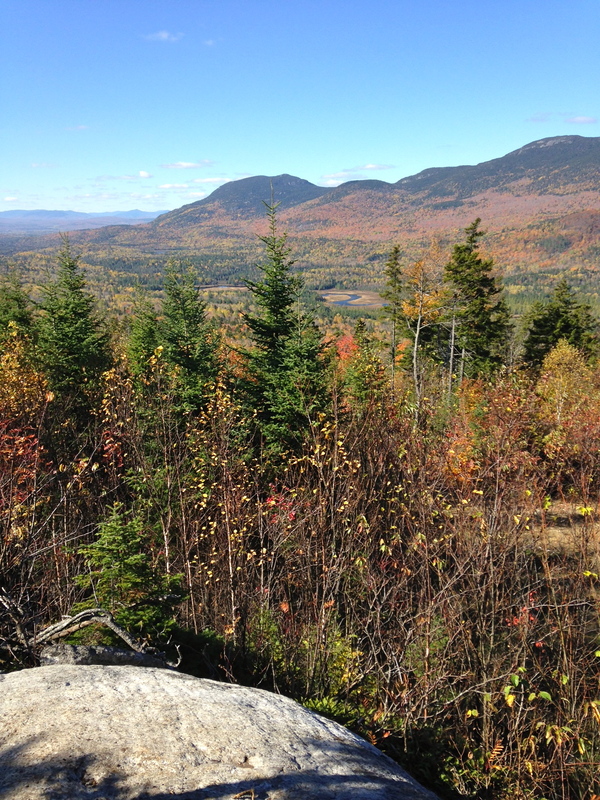 This past Columbus Day weekend, I went to check out the newest trails with family and friends. The new crowning achievement is the three and a half mile machine-built Oak Knoll Trail that climbs up to Maine Huts & Trails’ Stratton Brook Hut. It’s a burly climb that goes on and on but has been built in a way that’s very do-able by most competent mountain bikers. As an extra bonus you can step into the hut and enjoy a tasty snack or even a full meal—just remember to take your biking shoes off. When we arrived there was only a little soup left. I’ll take that as a good sign that a lot of people were using the trail. After you’ve completed the climb and had snacks at the hut, you can turn around and bomb the downhill. Most of the corners are bermed, so you can really left it fly. It’s really very comparable to the type of trails you’d find at a downhill system like Kingdom Trails in Vermont. Oak Knoll is not the only game in town. 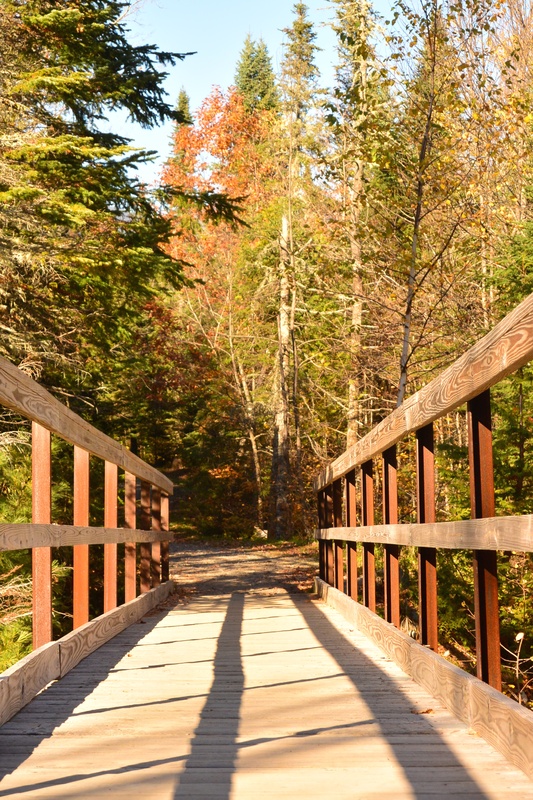 There is a steadily growing network of single-track at the Sugarloaf Outdoor Center and along the Narrow Gage Trail on the other side of route 27. Be aware that some of this single-track is quite technical and might require a little walking for novice riders. In fact, among my group of friends there is quite an injury list from crashing on these trails: stitches, multiple broken bones and a dislocation or two. Not trying to scare you off but you should give the trails proper respect and don’t be afraid to get off and walk a section if it looks a little too challenging for you. Finally, there are tons of opportunities to explore dirt roads and backcountry trails. 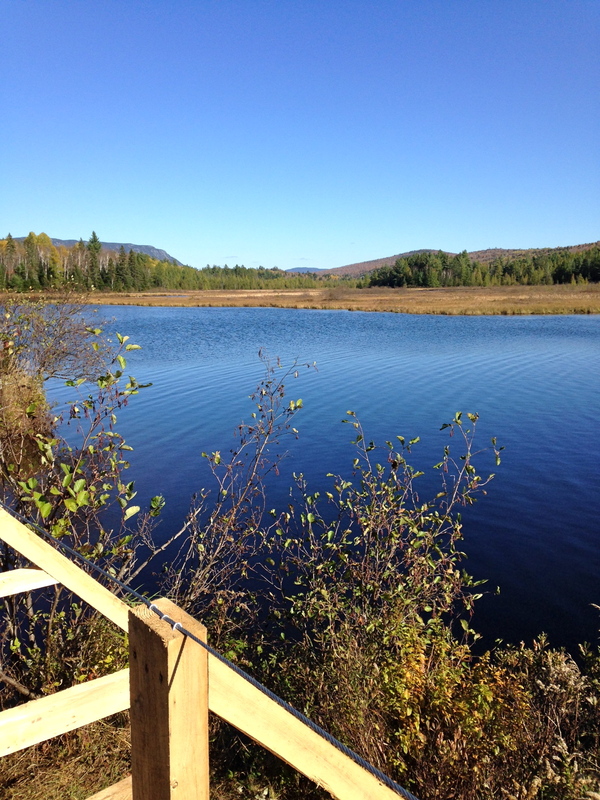 My favorite is a loop that goes by Stratton Brook Pond and beneath the Bigelow Range. Again, stunning views are the reward for venturing off the beaten path. And the best thing of all? It’s free! Donations are welcome and I encourage you to throw some money to Carrabassett Valley NEMBA if you use their trails. I imagine there will be a trail fee at some point in the future, but they’re probably waiting for a certain number of trail miles to be built. I know it’s ski season now, but I can’t wait to get up there next year for more riding.